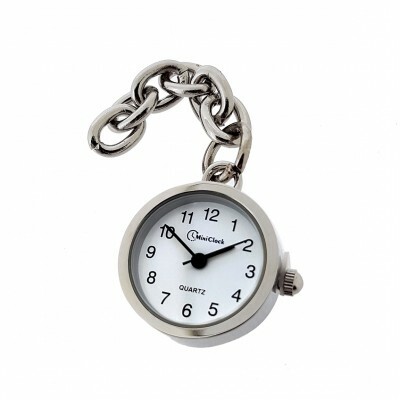 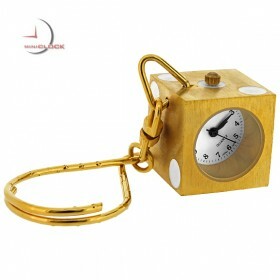 Classic charm size miniature clock featuring a metal case with a top loop and polished nickel plate finish. 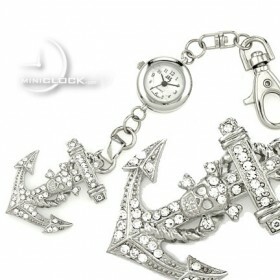 Includes a reliable tiny quartz watch with a clean white dial and crisp black markings. 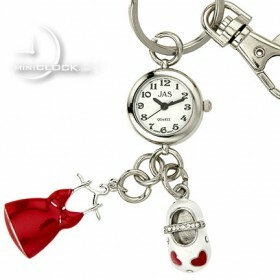 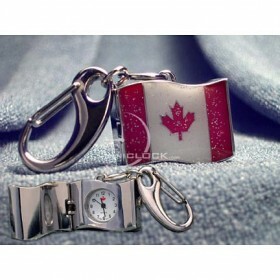 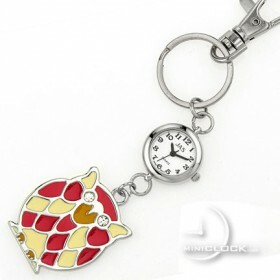 Perfect for, keyring, key chain, charm bracelet or add it to your backpack etc. 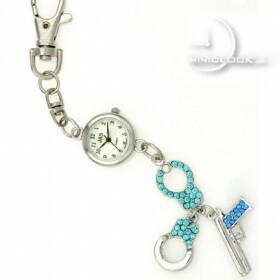 Comes with 1 1/4" chain length and connecting loop; the chain can be adjusted to the length that works for you.